2017 is a phenomenal year for science fiction films. One can look at quality, or quantity, or fandom, but right now we're going to look at capital. Studios are hungry to capture audience's attention with the future. They're throwing money at the wall and trying to light a fire. What I find intriguing is the activity of a genre. It helps me gauge how much interest there is for that style. Fantasy may be big with Game of Thrones and Lord of the Rings, but if you're not George R R Martin or Tolkien, people aren't buying. Science fiction over the past few years has ramped up. Plenty of films are being made with modern or far-future takes, and they're being made with big bucks. Our two fine examples are Valerian and the City of a Thousand Planets and Blade Runner 2049. Two sides of a science fiction coin. One half offering a positive outlook of the future, the other showing a cynical outcome. Valerian and the City of a Thousand Planets is a personal favorite of the year. We see the return of Luc Besson to the director's chair. We see more of the fantastic visuals of The Fifth Element. This was a major passion project of Besson's, and it showed. Does Valerian have flaws? Absolutely. There is no need to go to bat for this product and its criticisms, which there are many. What can be looked at is the type of science fiction presented. Valerian shows us a humanity that seemingly put its differences aside (detailed in the opening), becomes accepting of other life (opening), and taken to the stars with hundreds of other life forms to explore the universe. Outside Star Trek's television run, we haven't seen a hopeful future built on cooperation. In fact, even Star Trek with the recent Discovery has chosen a future full of strife. With a budget of over $200 million, the largest independent film ever, they EuropaCorp bet big that audiences wanted a more optimistic science fiction experience. There isn't an ounce of pessimism to be found. No last minute betrayal showing the real villain (there is some major telegraphing who is the villain from far away), no mean-spirited turn of events. Romance is front and center. Major side characters are not looked down upon. It's all designed to please. And audiences weren't feeling it. 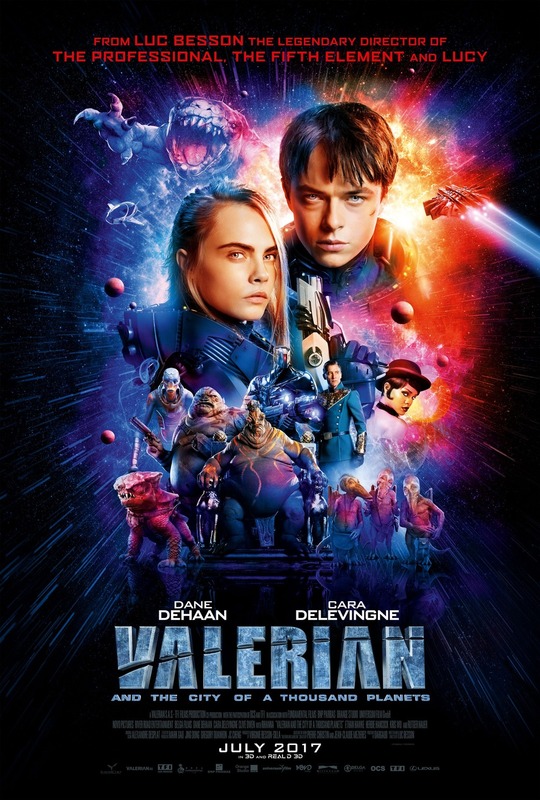 Valerian and the City of a Thousand Planets's opening weekend in the U.S. was $17 million, landing it in fifth place, also resulting in the departure of the Deputy CEO of EuropaCorp. 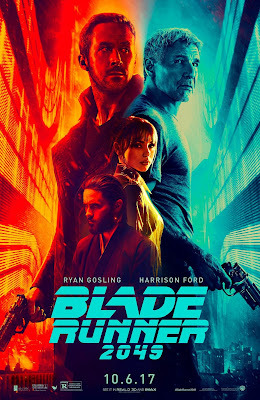 How did we exist in the luckiest timeline that has a 35-year-old sequel to Blade Runner that actually turned out good? We could have had another Terminator: Salvation or a Son of the Mask. Even if Blade Runner 2049 came out respectable, that would have been a solid win for us. But good? Great? Blade Runner 2049 was supposed to kick off an entire Blade Runner universe. We're talking films and television spinoffs were planned. This was supposed to be the beginning of a brand new franchise, like what The Avengers did for Marvel, Blade Runner was for Warner Brothers. And Warner Brothers tried this earlier in the year with King Arthur: Legend of the Sword, with a six-film cinematic universe. With a budget estimated at $150 million, Blade Runner 2049 was supposed to be the big splash. $150 million is an epic budget, and I'll give them credit, they did it right. Blade Runner 2049 is an epic film with epic themes. What does it mean to have a soul, what is free will, do our memories shape who we are, what does it mean to be special? All that wrapped in a future where humanity has exhausted the Earth. No more animals. No more green vegetation. No hope of any of those things coming back. And life still persists. It's hopeful in its own way. Audiences found it too slow, too boring, too artsy. In a world of blockbusters populated with quick-witted action heroes, Officer K is not who you envision. K is as pathetic an individual as Theodore is in Her. Different films, different goals, but just like Valerian, Blade Runner 2049 under-performed, putting Alcon Entertainment in serious trouble. We had two high profile, bombs that both chased after completely different audiences. Both had capable direction. Both had the money on display. And both were rejected. There is still one last behemoth of an in-house, Hollywood, SF film coming out. Star Wars: The Last Jedi. The House of Mouse knows how to milk a property in perpetuity, just look at their revitalization of their princess movies. Star Wars is no exception. Starting this weekend, The Last Jedi is going to clean the box office. Something about that feels appropriate, doesn't it? We get fine products presented to us, but we gravitate to the mainstream, audience-approved mega brand. It's the path of least resistance, the reason people pass over most titles on Netflix until they see Teenage Mutant Ninja Turtles: Out of the Shadows. I'm not even being mean-spirited to Star Wars. Rian Johnson is a fine director, Brick is a good time. Disney are fine people, they are very talented in finding out what audiences want. The Last Jedi going to be a groovy time for all. What I find interesting is what's going to happen in the next few years. Will Dune turn things around, or will we all enjoy our mass-produced mush? Time will tell.